Fall often brings spooky Halloween ghost stories, haunted houses and horror movies, but if those traditions aren’t your style, there are many options for family-friendly events in Wichita. 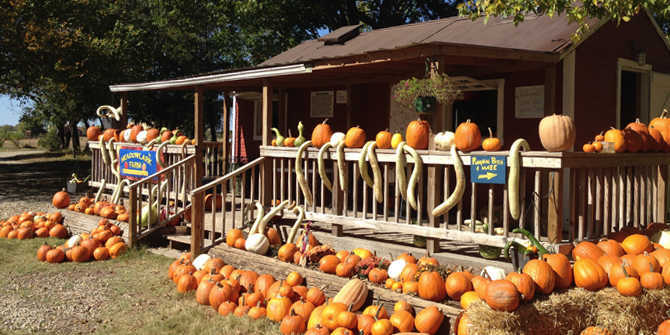 Cox Farm offers an all-inclusive excursion for families looking to pick pumpkins, work through corn mazes or spend the day playing carnival games. Hop on a hayrack ride for free as the trailer transports you to the middle of a pumpkin patch. Pumpkins are $5-$10 each or you can purchase them in the Cox Farm Country Store. Test your luck at finding your way through the winding Bermann’s Corn Maze, spanning 15 acres. The maze incorporates more than 200 brain teasers and questions. If you answer so many correctly, you win a free pumpkin. Also at Cox Farm, hop on the back of a pony, jump on inflatables or race on the Trike Track under the night lights. Catapult objects in giant sling shots, crawl through the Two-Headed Copperhead or play on the plethora of playground equipment. 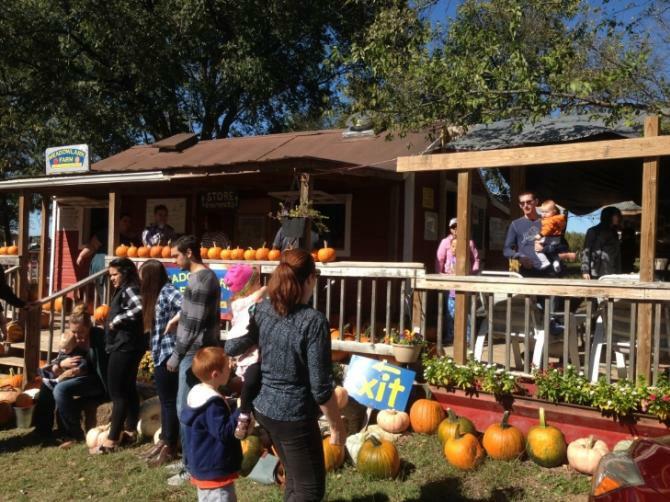 Cox Farm is home to several special events like the ICT PumpkinFest Cook-Off. This huge foodie event will bring together the best of Wichita food trucks as families prepare to walk through the corn maze and pumpkin patch. Cox Farm has a concession stand, so make a day of it with your family for a jam-packed itinerary of fall fun. All activities are open the last weekend of September through Oct. 31. 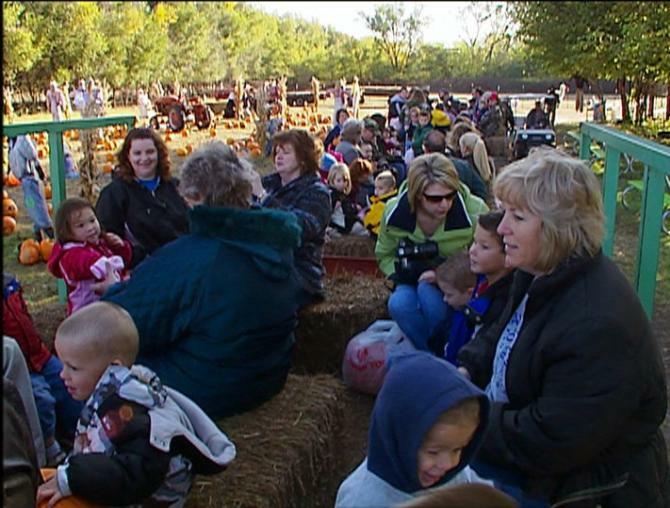 At Applejack Pumpkin Patch your kids can go wild in the play area or petting zoo. Get a free hayrack ride to the pumpkin patch to pick the perfect one. Pumpkins are sold by the pound at market value. If you’re an adventure-seeker, climb high and ride the zip-line over the patch or work on your motor skills at the balance course. While the kids are playing in the backhoe sandbox, try your hand at horseshoes or weave through both corn and milo mazes. Bring a few extra bucks to shoot the pumpkin cannons or gourd guns, play paintball or work on your short game on the putting green. Don’t miss the Applejack Outdoor Market where you can pick up unique homemade items, food, pumpkins and décor. Applejack Pumpkin Patch offers a full concession stand for a full day of celebrating cooler temperatures and the autumn season. It is open the last week of September through Oct. 31. Coming in 2018, the Applejack Event Barn will open, so plan your party today. Group rates start at $250 for 30 people to rent space for two hours. 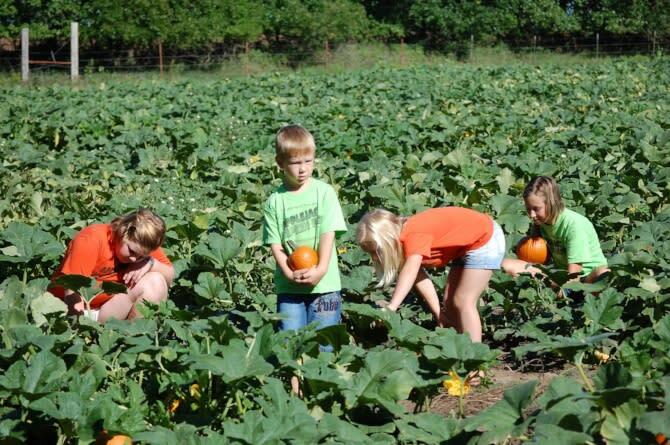 Located just southwest of Wichita, Meadowlark Farm offers the perfect package for fall fun. Grab your family and carving supplies, and go for a hayrack ride out to the pumpkin patch to find your match, then take it back to the on-site pumpkin carving station. Mini pumpkins are only $1 each or you can pick bigger ones for $0.40 a pound. Shoot your pumpkins in the giant sling shot or spend time navigating through the corn maze. With petting zoos, snacks and country store homemade goods, Meadowlark Farm offers a unique Kansas experience in Wichita’s backyard. Meadowlark Farm is open the last weekend of September through Nov. 1.